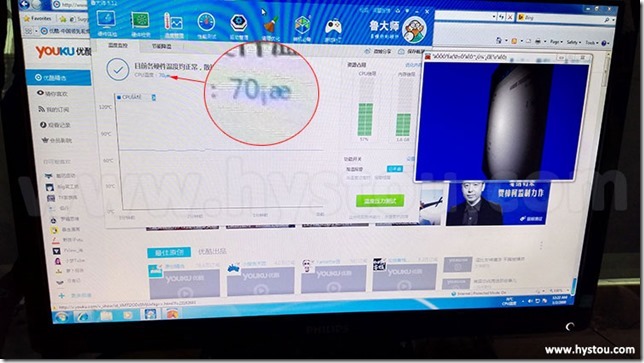 When using a computer, CPU tempreture always get change based on the work the computer do; also, CPU tempreture changes depends on the wether, seasons and other factors that affect our envirement tempreture, for example, in Summer days CPU will be much hotter than Winter days. But how much tempreture is good for a computer? The lower the better. 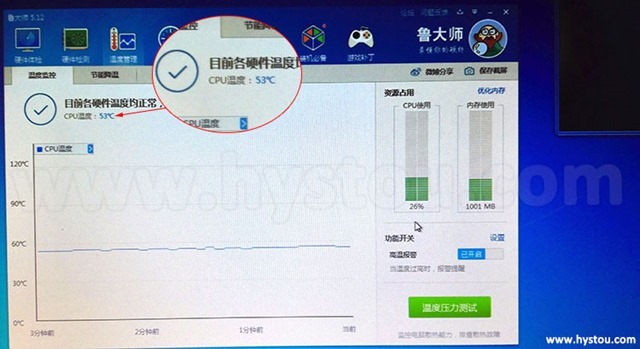 In Summer days, CPU tempreture no more than 50 oC in idle status will be nice, no more than 65 oC in normal working status is fine, no more than 75 oC in full loading status is fine. Suggest don’t watching too long time HD movies in Summer days. In Winter days, CPU tempreture mostly around 30 oC in idle status, its nice for the CPU. 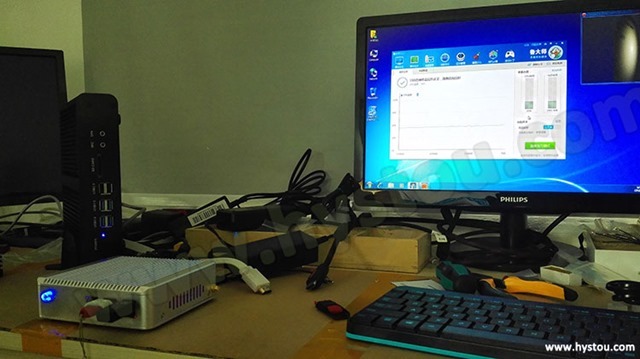 Now lets show the real tempreture testing on the smallest fanless pc with intel core i3-4010U CPU, hystou mini pc model name FMP07-i3-4010U, other hystou mini pc models will also do such testing soon. Operating System: Windows 7, 8 & XP Pro, Linux Compatible. The one we test comes with 4G RAM 64G SSD, Windows 7, Summer day at 31 oC indoor temperature. 1. Idle status tempreture around 45 oC, forget to take picture. 2. 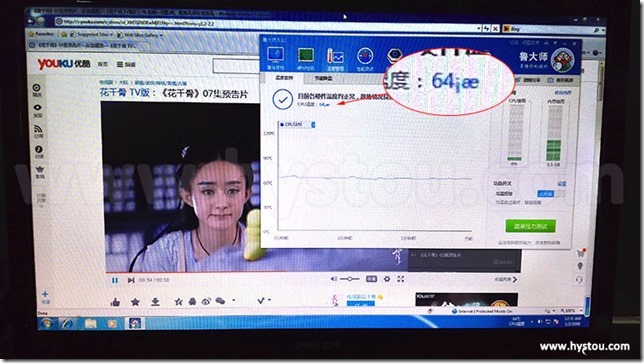 When running CPU high voltage testing software for around 20 to 30 minutes, CPU tempreture keeps around 53 oC, below picture shows details. 3. 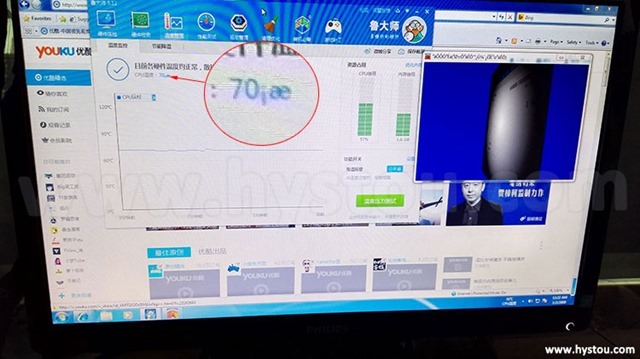 Running online HD movie and the CPU high voltage testing software together, for small computers this is almost full load, CPU tempreture around 70 oC. 4. 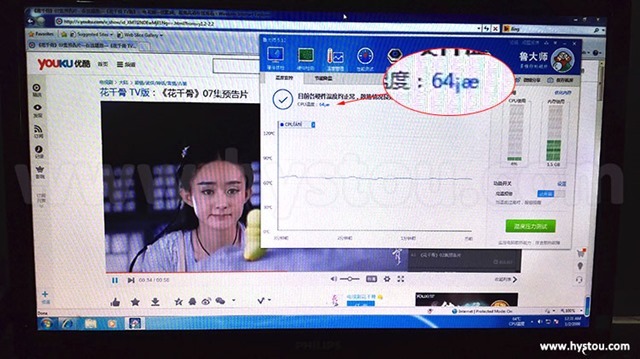 Close the CPU high voltage testing software, run only online HD movie, CPU tempreture around 64 oC. When doing above change, make sure you are good at computer repair working, otherwise it may perhaps bring problem when opening the computer.